I used to joke with my friends, when I was a graduate student, that cafés relying on my business would easily go bankrupt. I was the opposite of many other students (and non-students alike) who need their caffeine fix daily, often several times a day. There isn’t even a point for me to carry any loyalty card, because I’ll never reach the number of stamps required to get a free beverage. 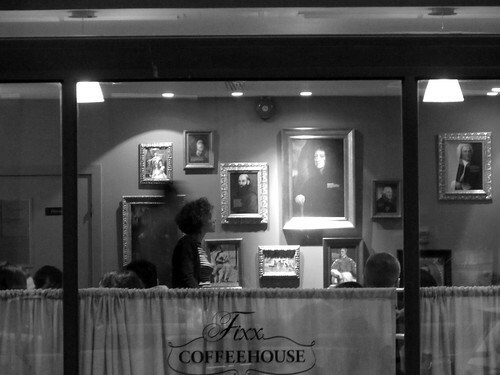 Of course, coffee houses are great for short meet-ups with friends, or to get a cup of hot drinks and sit to read. Given I’m due to move to Paris soon, I should learn to ease in the café lifestyle a bit better. Perhaps it’s the romantic view that everyone have of Paris, that this is the thing to do. For sure, you’ll also be charged a premium for that sit down privileges. Do you know, most Parisian cafés easily charge 200-300% more for the cuppa at the table than serving you au comptoir (i.e. at the bar)?